Rated current not more than 100 A. Trip characteristics normally not adjustable. Rated current up to 1000 A. Trip current may be adjustable. Rated current up to 10,000 A. Trip characteristics often fully adjustable including configurable trip thresholds and delays. Usually electronically controlled—some models are microprocessor controlled. Often used for main power distribution in large industrial plant, where the breakers are arranged in draw-out enclosures for ease of maintenance. These breakers interrupt the arc in a vacuum bottle. These can also be applied at up to 35,000 V. Vacuum circuit breakers tend to have longer life expectancies between overhaul than do air circuit breakers. Phase (line) and Neutral both wires connected through RCD. It trips the circuit when there is earth fault current. The amount of current flows through the phase (line) should return through neutral . It detects by RCD. any mismatch between two currents flowing through phase and neutral detect by -RCD and trip the circuit within 30Miliseconed. A 300/500 mA RCCB may be used where only fire protection is required. eg., on lighting circuits, where the risk of electric shock is small. Standard electromechanical RCCBs are designed to operate on normal supply waveforms and cannot be guaranteed to operate where none standard waveforms are generated by loads. The most common is the half wave rectified waveform sometimes called pulsating dc generated by speed control devices, semi conductors, computers and even dimmers. Specially modified RCCBs are available which will operate on normal ac and pulsating dc. RCDs don’t offer protection against current overloads: RCDs detect an imbalance in the live and neutral currents. A current overload, however large, cannot be detected. 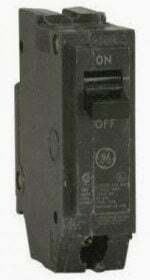 It is a frequent cause of problems with novices to replace an MCB in a fuse box with an RCD. This may be done in an attempt to increase shock protection. If a live-neutral fault occurs (a short circuit, or an overload), the RCD won’t trip, and may be damaged. In practice, the main MCB for the premises will probably trip, or the service fuse, so the situation is unlikely to lead to catastrophe; but it may be inconvenient. It is now possible to get an MCB and and RCD in a single unit, called an RCBO (see below). Replacing an MCB with an RCBO of the same rating is generally safe. Nuisance tripping of RCCB: Sudden changes in electrical load can cause a small, brief current flow to earth, especially in old appliances. RCDs are very sensitive and operate very quickly; they may well trip when the motor of an old freezer switches off. Some equipment is notoriously `leaky’, that is, generate a small, constant current flow to earth. Some types of computer equipment, and large television sets, are widely reported to cause problems. RCD will not protect against a socket outlet being wired with its live and neutral terminals the wrong way round. RCD will not protect against the overheating that results when conductors are not properly screwed into their terminals. RCD will not protect against live-neutral shocks, because the current in the live and neutral is balanced. So if you touch live and neutral conductors at the same time (e.g., both terminals of a light fitting), you may still get a nasty shock. Phase (line), Neutral and Earth wire connected through ELCB. ELCB is working based on Earth leakage current. The safest limit of Current which Human Body can withstand is 30ma sec. Suppose Human Body Resistance is 500Ω and Voltage to ground is 230 Volt. The Body current will be 500/230=460mA. ELCB is the old name and often refers to voltage operated devices that are no longer available and it is advised you replace them if you find one. RCCB or RCD is the new name that specifies current operated (hence the new name to distinguish from voltage operated). The new RCCB is best because it will detect any earth fault. The voltage type only detects earth faults that flow back through the main earth wire so this is why they stopped being used. The easy way to tell an old voltage operated trip is to look for the main earth wire connected through it. RCCB will only have the line and neutral connections. ELCB is working based on Earth leakage current. But RCCB is not having sensing or connectivity of Earth, because fundamentally Phase current is equal to the neutral current in single phase. That’s why RCCB can trip when the both currents are deferent and it withstand up to both the currents are same. Both the neutral and phase currents are different that means current is flowing through the Earth. Finally both are working for same, but the thing is connectivity is difference. RCD does not necessarily require an earth connection itself (it monitors only the live and neutral).In addition it detects current flows to earth even in equipment without an earth of its own. This means that an RCD will continue to give shock protection in equipment that has a faulty earth. It is these properties that have made the RCD more popular than its rivals. 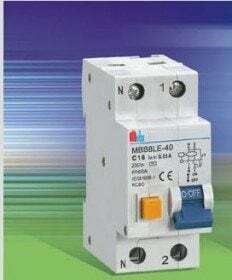 For example, earth-leakage circuit breakers (ELCBs) were widely used about ten years ago. These devices measured the voltage on the earth conductor; if this voltage was not zero this indicated a current leakage to earth. The problem is that ELCBs need a sound earth connection, as does the equipment it protects. As a result, the use of ELCBs is no longer recommended. The first characteristic is the overload which is intended to prevent the accidental overloading of the cable in a no fault situation. The speed of the MCB tripping will vary with the degree of the overload. This is usually achieved by the use of a thermal device in the MCB. The third characteristic is the short circuit protection, which is intended to protect against heavy faults maybe in thousands of amps caused by short circuit faults. The capability of the MCB to operate under these conditions gives its short circuit rating in Kilo amps (KA). In general for consumer units a 6KA fault level is adequate whereas for industrial boards 10KA fault capabilities or above may be required. Fuses and MCBs are rated in amps. The amp rating given on the fuse or MCB body is the amount of current it will pass continuously. This is normally called the rated current or nominal current. Many people think that if the current exceeds the nominal current, the device will trip, instantly. So if the rating is 30 amps, a current of 30.00001 amps will trip it, right? This is not true. The fuse and the MCB, even though their nominal currents are similar, have very different properties. For example, For 32Amp MCB and 30 Amp Fuse, to be sure of tripping in 0.1 seconds, the MCB requires a current of 128 amps, while the fuse requires 300 amps. The fuse clearly requires more current to blow it in that time, but notice how much bigger both these currents are than the ’30 amps’ marked current rating. If the fuse is marked ’30 amps’, but it will actually stand 40 amps for over an hour, how can we justify calling it a ’30 amp’ fuse? The answer is that the overload characteristics of fuses are designed to match the properties of modern cables. For example, a modern PVC-insulated cable will stand a 50% overload for an hour, so it seems reasonable that the fuse should as well. can you recheck the ELCB calculations.I think there are some mistakes with the current calculaton and the time of operating as current=voltage/resistance but while calculating you considered resistance/voltage also check the value and unit of operating time you calculated. Quote ” The safest limit of Current which Human Body can withstand is 30mA sec. What is the procedure to detect malfunctioning of RCCB/MCCB/MCB? What is the procedure to check the RCCB on installation ? Completing installation of the RCCB and connection of incoming Phase and neutral wire as per marked ‘L’ & ‘N’ on RCCB than switch on main supply or TPN. To test the RCCB you can push test Button as on marked “T”. The RCCB will trip . And after that you can also test it by test lamp/short phase an earth point at any socket plug,bulb holder and light points connector. The first two photos are be reversed with the black GE circuit breaker being the molded case CB and the white IEC circuit breaker is the miniature circuit breaker. from some days my area electric transformer is giving high voltage,and my house electric applicens are totally gone bad. is not working of this problem. so i need any solution for recover this problem,or any power load tripper from out side. hello jigneshbhai how are you? I am an electrical technician most of working in gulf countries like (shell),which are following IEC standard of E&I field. could you give me the any resources or bibalogy to knoe this IEC standard. moreover could you give me information about COMPEx training ? I think the solution to your problem lies in re-strengthening the transformer neutral earthing. Please check the neutral connection at your home and its continuity upto transformer neutral point. Also check if there are any bad joints. A floating neutral always lead to a dangerously high voltage (with respect to neural/ground) in one or more phases in a 3-ph, 4-w system where the neutral is solidly grounded. An attempt for a simple summary but unfortunately technically not very correct. MCCBs could be up to 3200 A e.g. Tmax T8 and could have also microprocessor based release, MCBs could be up to 160 A, etc. Anyway, this is not the biggest problem. The main difference between MCCB and ACB in their construction, which ensures also different performance, different service capabilities etc. Which is the best device to install at home? for avoiding shock & overload? Connection must be proper with RCCB MCB’s. If you have any confusion or needs more help than contact me through mail. For Eg. Today there was overload of current & our fuse didnt trip insted tubelight, laptop charger, mobile charger, routher charger got burnt also after some time when i tried to check the mobile charger by connecting to mobile the mobile device had live current & i suffered small scock. Luckily tv & fridge got saved in the nick of time. Why can a lower kA rated MCB be used downstream from a higher rated upstream fuse? How does the fuse limit the let through energy? Nice Information Jignesh, does this mean that none of these (MCB/MCCB/ELCB/RCCB) protect the devices from high voltages coming from Grid. Voltages stabilizer provide stable output but not feasible to connect every appliance with this. Is there any device which protects from high voltages from grid adding over load and shock features. Any inputs on this is very much appreciated. May i know why MCB and RCCB tripped at the same time? What is the high chance of tripping in that situation? Please reply! It’s very simple , you can use fuse for the high power. Please suggest for switchgear BIS certificate requirement. Is BIS require for all switchgear like MBC,MCCB,RCCB…etc? Thanku ji to provide information about MCB’s. Thank you very much. This article is more helped to know type of circuit breakers. hi…i’d like to asking for spesification…. how many ampere i should using the mcb for installation on elevator with max weight 600kg??? 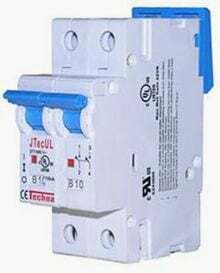 What is the difference between Earth Leakage Relay and Earth Leakage Circuit Breaker? Is it the operation? or maintenance wise? Earth fault relay connected between phase and ground and it’s work to ground the over voltage. ELCB used in wiring or appliances earth protection to trip the ckts if there is any connection phase with ground/earth. Your calculation of the time an ELCB must trip is incorrect. That is 65mS, not 0.65mS. I am in the business of water pump. I want to protect our submersible water pumps up to1 HP, single phase. Can you advise what type of MCB, RCB or RCBO should be used by us for protecting our submerisble pump against short circuit in winding, overload. The full load current of our equipment is 3.6 Amp. Please suggest proper product with minimum space requirements. for 1 hp single phase motor, use 20 amp mccb fuji. Good Job,please I want to know if it will be possible for me to download the materials and where I can do that,am using phone to check the information.thanks. Appalling English explanation of how an RCCB (RCD) works. Hi i’m Shwetank Dixit a student of volkswagen academy, Thanks for sharing so explain about electrical our citizen or country has very need to knowledge of hardware (electrical knowledge) as well as software also please more and more and some advance………like MPCB (Motor protection circuit breaker) and all that……. 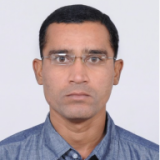 I’m E&I engineer… thanks a lot for all these beneficial and valuable informations . I have a question : in the AC circuits normally we use a protection fuse at the line and the neutral directly wired ..why in DC circuit need to use 2 fuse for both (+) &(-) wires. I stay at Mangalore and I am a layman as far as Electricity is concerned, earlier I was staying at Ahmedabad where the electricity was of good quality. Your article was very informative.Here in Mangalore many times I have noticed that after a power outage when the power returns, there is current in the neutral line. It may be due to faulty re-connection by the electricity linesman. At this time if any appliance is on, it gets fried, also we get a shock on touching the appliance. Some of my appliances were destroyed because of this. I would like to know if I can use Residual circuit device(RCD) to prevent damage to appliances or will a 3 pin adapter with fuse will help. Or is there any other device that can help prevent damage to appliances when there is current in Neutral( as tested with a screw driver tester). Power outage occurs here at least 3 times a day!! EX:Many switch are connect in this ELCB circuit.any one switch to earth fault on human body touch on the time working ELCB is tripped.then totally off switch through to the ELCB circuit.this is ELCB function. I’m real aprisiate that electrical is every thing.. No electrical nothing can go on. very useful. Thanks for the information. But what about the earthing we use outside our home or commercial place? If we use RCCB ,really there is no use of earthing? Nice artical just want to ask I have completed B.E.Electrical. Should I do M tech in power system ? Thank u sir for giving me knowledge about MCB types. Now I want information about power theft detection bcoz it is my final year project. Please share information with me on my email. Thank u.
I have facing one problem our 4 pole RCCB incoming terminal are frequently overheat or burn out . What are are the causes behind that ? Please guide and What should I check ? RCDs detect an imbalance in the live and neutral currents. A current overload, however large, cannot be detected. It is a frequent cause of problems with novices to replace an MCB in a fuse box with an RCD. This may be done in an attempt to increase shock protection. If a live-neutral fault occurs (a short circuit, or an overload), the RCD won’t trip, and may be damaged. In practice, the main MCB for the premises will probably trip, or the service fuse, so the situation is unlikely to lead to catastrophe; but it may be inconvenient. ELCB trip in over load yes or no? We relay Appreciate with you and getting knowledge in our typical situation thanks. Reference my comments and questions on May 18,2015, Please note while using a Test Pen on a Phase wire causing a small current to flow thru our body to Earth, resulting in a bulb glowing, a resistor is connected in series to drop the Phase voltage, making it safe to touch. In case of an appliance malfunction, where the Phase voltage is present on the casing, touching it may cause an electric shock. The RCCB will operate and cut off supply to the load if there is an unbalance (or difference) in the currents flowing thru the Phase (Line or Live) wire and the Neutral wire. In the Malaysian system, all equipment and utensils ( esp. those made of metal), the body or casing is connected to an Earth wire, which originates from the Main Switch Board. In the unlikely event of the Phase wire coming into contact with the body of the appliance (e.g. a bread toaster), a leakage current will flow from the body of the appliance to Earth, causing an unbalance in the RCCB and forcing it to trip and isolate the load. If an Earth wire system is not provided, the RCCB will trip only when a human touches the appliance, causing a current to flow thru him to Earth or Ground, resulting in an unbalance in the RCCB. An efficient RCCB needs to be sensitive to about 30mA leakage current and operate fast enough to avoid any hazard to the human. Am I right? I believe this is not dangerous as when we use a Test Pen on the Phase wire, a small current does flow thru our body to Earth causing the lamp to light. The doubt is whether the current thru our is the same in both instances. Thank you and hoping for some clarification on this matter. Thanks for the helpful information, please can you kindly help me with information on how MCCB, MCB, RCCB, ACB, VCB etc. circuit breakers are rated. I want to gain extra knowledge about electrical engineering.so I want to subscribe your news letters. awaiting a lot from you!!!!! Very simply and aptly explained. Superb. Hi. You have a typo under the ELCB comments. “The Body current will be 500/230=460mA.” That’s upside down, of course, it’s 230/500. Thanks a lot for your topic. May I ask you on how to connect MCB and RCCB in residential wiring? Should L n N wires from Main Switch be put into RCCB and then to MCBs ? How to connect those for Inverter lines? What is different between B, C, D grade in MCB and which one do you recommend for rsidential purpose?For a 1.5 ton A.C. , what should be the grade and amp. of the MCB? such kind of article ,generally not available,on site, it is very helpful. very good and helping topic. I appreciate your valuable information. My rccb damaged & electrician has made electricity connection directly though mobs are there. Pl. advise me whether rccb is needed to install ? If i do not install rccb, what R the consequenc ? MCB won’t cut the supply on an electrical shock to earth. Only a short from phase to neutral or overload it trips. So you should install rccb or elcb with 30mA best suits. Sir why three point in battery terminal. sir, what is the connection and working difference of ELCB and RCCB. Your picture of MCCB is not good ( it is a MCB) use a picture of NSX fron Schneider electric or similar. Thank u v.much Sir. I’ve few doubts.. V r constructing a 2BHK house in Chennai. Can i re-use a 4yr old (was working) 40A AUTO PHASE CHANGER? I also have 25A Rotary phase changers (say RPC) in a box, and in same DB box, 12 LeGrand MCBs (2x c20,4x c16, 2x c10, 4x c6) r there. Shall i connect 3 parts/places(AC1, AC2, & Kitchen) to these RPCs via 63A RCCB in DB & again take back to DB & connect with MCBs?!! So that i can connect confidently all remaining divisions with AUTO-PHASE CHANGER. Thank you sir for your complement. I will need more encouragement as a beginner. we installed RCCB 300 mA at our site GEDP (contain-Air condition CB and light-socket-emergency light-rectifier… etc. Finally a clear understanding of rcd / rcbo, totally transfixed by your clear explanation and I want to learn more. I’ve been an electrician for 8 years and never bore of the devices we trust and how they work in a changing industry. due to some return current r short ckt or leakage current is or high voltage is accrued we r using mcb but all the device get damaged. This is very much useful for me. I read these article about circuit breakers.I can acuuired many knowledge about that.Thank you for the valuable Informations. By reading your article today I understood all kinds of breakers and their difference. Thanks for your article. Allah bless you. Thanks for the practical information you have shared, especially the difference between all the circuit breakers. now i got to understand the major difference between different kind of circuit breakers. I learn lot from EEP . Its very useful. Though i am mechanical engineer but i can understand the function of the devices easily you describe. Could you explain me how to calculate the RCD rating in mA as my client is asking me to install 3P 150A Mccb with 300mA rating. I couldn’t find the list in the specification catalogue. MCCB has no mA rating. Only A rating. Rccb or Elcb has MA rating too. For safety side MA should be as minimum as possible, but also have to consider the grading between upstream and downstream mA also. If no downstream and upstream problems, like in small houses etc. Please select mA as minimum as possible. But some machines like submersible pumps will again trip as they have already leakage currents in small quantities. In that case increase the mA . Typical mA are 39, 50, 100 etc. please make correct the spelling of “might” in characteristics of RCD/RCCB. it’s not “mite”, its “might”. Some how it’s helpful bt there is not enough discription…for elcb. It’s really useful, but I am having small dout we using overhead crane in that we frequently facing drive failure. Below the hook welding work carried one also suggested the same ie due to welding operation Only these failure happened,any other cause???????? Our main is connected through RCCB ,when i Tested the Earth with a bulb ,by connecting Neutral with Phase our RCCB tripped,but no problem with other devices.Is it ok?or something wrong with connection. Nice and simple- way to go !!! Sir, i’m working in govt org. I have one problem. Our generator is turning off while running condition cause of unbalance load. Some people who using this load, they use water heater. We put the MCB 6 amp.in those circuit to reduse extra load. When 8-9 amp current flow throuw the mcb, it is not tripping. MCB condition is OK. Pls reply me. it is very good ,useful and easily understandable information . 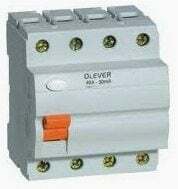 which is modern medium used in circuit breaker for arc extinction ? VERY USEFUL DEFINITIONS AND EASILY UNSTANDABLE. Please explain me to how to select Barker for 20 KW load. i our house there are new electronic meters installed, is there anyway i can reduse the speed of meter reading without tempering it..
in India we get A type MCB, whereas in all websites only 3 type B C D types are discussed. Hi thanks for the information provided for. 1) Will the MCCB allow 2 live connections through it (both would of same phase so no 440 volts chance)? 2) Can I install a MCB with the earth which I would using as neutral. IF so, of how much rating. 3) What safety precautions should I take for preventing electrical shocks and equipment safety. 1) don’t even try to do that. you can’t connect 2 feeder cables to one MCCB. one of the resons is electric shock at the start point of cable although its feeding circuit breaker is disconnected. but, you can connect 2 cables from MCCB and supply 2 or more consumers. 2) you can’t do that neither. if there is a RCD it will trip in that case, and earth conducter must not carry current in normal regime, only in case of fault. 3) use appropriate protection (MCB, MCCB, RCD, RCBO, etc), cable sizing to match equipment needs, and use of appropriate IP rating for environment where equipment is installed. Very good information & to the point. Good information. Great work Jignesh. this is good information but i want 3 phase submersible pump’s ELCB/RCD Installation at agricultural basic so you sugges me in this both devices which is safe. Sugges me which capacity e.g 25a,63a for 3phase agricultural submersible pump. every pump should have its own protection (RCD, RCBO, MCCB, ELCB, etc) and nominal current should be choosen on basis of pump’s power consumption and power factor. 1.I think this information is not correct. Because there do exist MCCB of 1,2,4,6,10,16,20,25,32,40,50,63 amperes of Schneider and even ABB……..
2. The figure which is shown(for MCCB) does not resemble to that of MCCB seems to be of MCB as per its looks. This is nice!thank u 4 dis! hi, sir i m working as a TFO in bank . require EE information. This is really helpful. Thanx a lot. Brief, precise and superb information. thank you sir especially for the RCBO and the difference between ELCB and RCCB. hopefully it is more then sufficient for my orals……. ELCB as above; under ‘Operating Time’ – the left side of the equation for ‘Body Current’ is upside down and gives an answer of 2.17 amps and not 460 mA as stated. Thanks a lot, but I think that you should include the earthing systems which affect some products above. I liked all the topics listed above, based on my experience and usage of some of these equippments, i relaised that with ELCB, the current flow is better/optimistic in one direction and most preferrable for domestic applications. thanks for the article. Tjhanks a million…i just can’t tell u how much i needed dis…thanks a million….